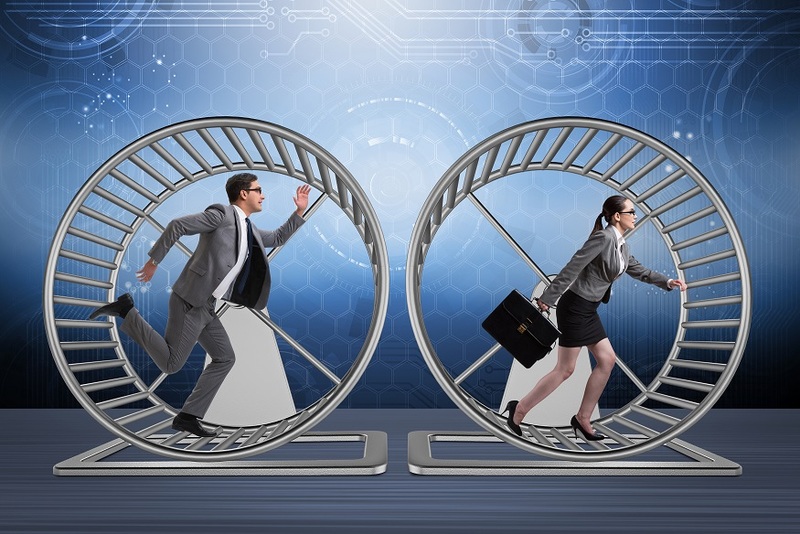 Are your high performers on the hamster wheel? Is your business focused on spinning and lubricating the hamster wheel? Or are your teams focused on making timely and effective decisions which impact your profitability? I was recently explaining to a team of new recruits what it is like for organizations who have outgrown their back office. I was unexpectedly transported to my experiences working in the finance team of one of Australia’s largest staffing firms in the early 2000s. At that time we had a brilliant front office, however our back office was not so brilliant. Our back office team was very talented, but extremely frustrated to find themselves on the hamster wheel of laborious manual tasks because technology, at that time, was not able to take over. Very smart, highly qualified and ambitious people were data entering tens of thousands of timesheet lines, manually printing invoices, sorting through thousands of invoices and making sure our clients’ unique invoicing needs were met. No doubt with this much human intervention, avoidable errors occurred. Therefore there was a lot of checking and adjusting, re-keying data and making sure accounting entries were correct. And they did the same things every week. It was relentless. Such a waste of talent caught up completing administrative tasks typical for interns. Back then, there was an excuse; technology had not caught up to the demands of the back office of staffing firms. However, today, with the technology we have available, smart, capable and ambitious people you hire to provide advice and to improve your profitability have no reason to spin a hamster wheel.